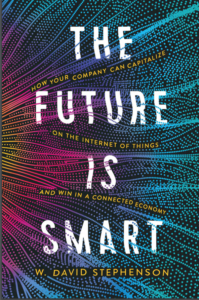 My piece in Harvard Biz Review blaming #370 crash on lack of “Internet of Things” thinking! In this case, if Malaysia Air had only been willing to pay $10 more per flight, it could have had a wide-ranging flow of real-time data from the plane’s engines. Under regular conditions this data could have allowed the company to tweak the engines’ performance, while also allowing them to do “predictive maintenance,” catching minute problems as they first emerged, in time to make safe, economical repairs rather than waiting until a catastrophic failure. AND, it also would have allowed them during the crisis two weeks ago to have immediately switched to monitoring the engine data when voice transmissions ended, so they would have known immediately that the plane was still flying, in time to have launched planes to intercept the plane and land it safely.